The soul of a person is the essence of who that person is. That essence is shaped by life experiences and cultural norms. Language provides us with a way to organize and symbolically represent all of the experiences and cultural influences that define who we are. When we acquire another language something amazing happens. We open up wonderful opportunities that would have never been available to us in the past. We open up the possibility of meeting new and interesting people from other countries with different life experiences and different cultural norms. We learn to think in new ways thereby deeply enriching our lives with new and amazing experiences. This fresh way of thinking is uniquely born from understanding a new language and culture. When I speak another language, I take on many of the characteristics of native speakers of that language including hand gestures and body language. I feel like a new person. I feel like a different person. I feel like a person with a second soul. 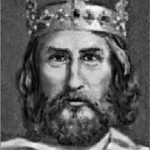 How do YOU understand Charlemagne's quote?